It's so hard when people complain about the food we make for them out of love, but gratifying to see them actually eating it (and sometimes that is the only form of thanks). I guess I meant it like, "If they are so dry, why are you eating 4 of them???" I used to be a flight attendant, and one of my favorite jokes was the passenger who says to the flight attendant, "Miss, this food is terrible! And there is not enough of it." HA! That is so my family and my house and my brownies! Lovely play of words here... And I so love brownies!! This is very William Carlos Williams. "This is just to say..." I feel like you've attached a great deal of importance to a seemingly mundane moment. Great job. ha! plums! he was certainly my inspiration, and to have my words linked in the same sentence with his, well, you just made my week. thank you. Love the structure of this! Great take on the prompt. We all have big moments and small moments in our lives. It is nice to give a seemingly innocuous moment such wonderful treatment. 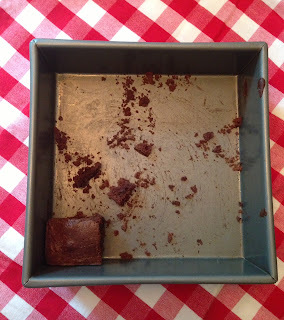 I find this piece (the writing, not the brownie) leaves a very rich taste in my mouth. it is in the "not saying" sometimes? but still I loved the structure of this, got lost in the cadence of it. And here I thought you didn't see me take those other two! This was great!! Some people are never satisfied, yet they continue to help themselves anyway. My mother in law is like that. I liked this response-it's very unique! Brownies...always at the summer events. I like how you focused on a single aspect of something as huge as summer. Great detail. 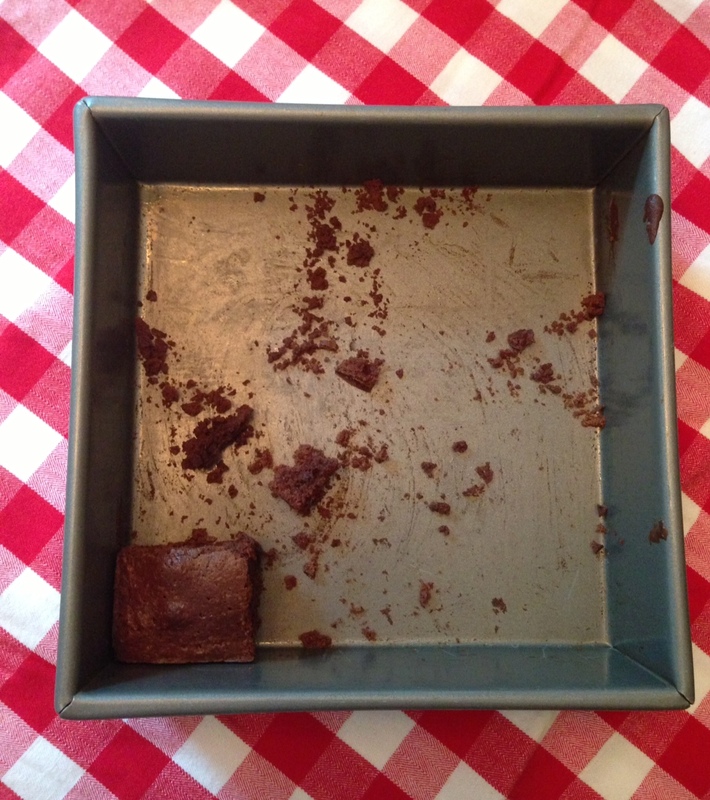 Brownies are the only reason one should turn on an oven during the summer. This is delicious writing. Thank you for linking up! Please be sure to return for the voting! A pleasurable read! Great take on the prompt. As long as they are eaten...that's the best compliment...all these 'dry' - 'moist' comments I guess they r hangover of Masterchef series..
Four dry brownies must be some record!